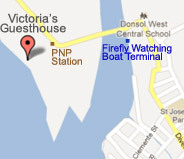 We are located at the beach, near the police station (PNP). Our guesthouse in not in Donsol town but on the way to the whale shark center and also not far from the fireflies Boat Terminal. ATM in Donsolavailable inside the local bank, you can get money just on a bank working day. Master /Maestro cards. Visa NOT accepted at the moment. Just to be sure, you can take money, in Legaspi, or Pilar. 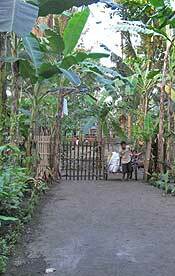 a newly opened authentic native philippine bamboo style guesthouse in Coron, Busuanga, Palawan, Philippines. Next to one of the most famous wreck diving destinations due to the amount of 12 Japanese wrecks hat were sunk by American navy bombings in Coron Bay 1944. Ideal for beginners and advanced divers with wrecks at depths of 2 to 43 meters.